Are you facing too many employee issues these days? Don’t have enough time to write email to each employee? Use these pre-written HR email templates to save your precious time and work efficiently. Today professional communications are extremely necessary & time bound. 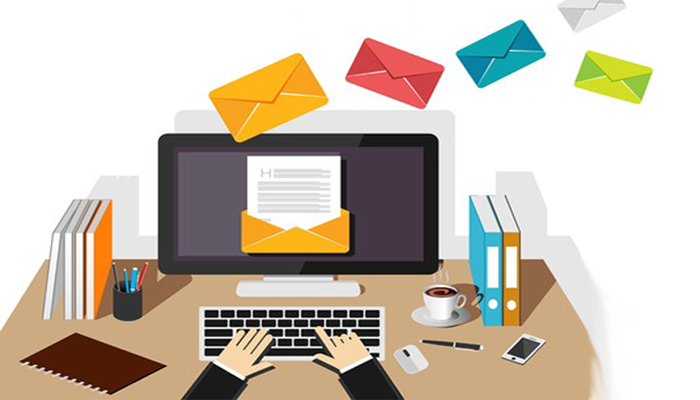 A survey by McKinsey conducted in 2012 states that the professional desk workers spend more than 28% of their working hours dealing with emails. And these numbers are increasing with each passing day. Not only the work hours, but there is a lot of stress involved in identifying ways to convey a potential message to employees, like saying no to particular task, encouraging employees, dealing with employee issues, etc. To save you from all the hard work, we helped you with few HR email templates in the first part of this blog post. In this part, we are giving few more pre-written templates to make your day-to-day communications easier. Feel free to tweak these email templates to your needs and send them off! Let’s explore few more HR email templates. It is essential to maintain a work-life balance. Taking some time off is as normal as coming to work. Every organization provide paid time off to employees so that they can get time to be involved in other activities of their interest. At the same time, leaves can’t be taken at the cost of compromising work and project deadlines. Employees must realize the importance of their presence at work. If you have any employees who are taking too much time off, we recommend you to discuss the matter and inform them that they can’t continue to work at this high rate of unplanned leaves. Hope you’re doing absolutely fine! We, at (name of the organization), believe in maintaining work-life balance. We take pleasure in encouraging our employees to take some time off for leisure activities and revive themselves. We also assume that our employees are responsible enough to plan their leaves wisely and not hamper work schedules at all. I have recently noticed your absenteeism in the last two project meetings. And I wanted to talk to you about the same. If I go by records, you have taken too many leaves recently. If there’s any specific issue or health trouble, please let me know. I will be happy to help you. Employee feedback is the most valuable tool to bring change in the work culture and environment. Depending upon the convenience, employers conduct quarterly, half-yearly or annual employee surveys to know their employee’s viewpoint. Remember to be polite and positive while asking employees to be a significant part of your feedback program. It’s time for another round of your feedback. We are ready and excited!!! Are you?? I would like to thank you for sharing your valuable suggestions so far and helping us to make this workplace more amazing. I want everyone to spare few minutes for the upcoming employee survey and tell us how we can improve. This time, we have planned to execute anonymous employee survey to allow everyone to put an honest viewpoint, unhesitatingly. Your nameless answers, suggestions and criticism will remain safe with us. Appreciation is the fundamental element for any employee engagement program. Never ever miss even a small opportunity to appreciate your employees and thank them for their contribution in small/ big achievements. Read on to know how you can praise your entire team, if you find their contribution valuable and result-oriented. I would like to thank each one of you for putting in your best efforts, pushing your limits and making ABC project a big success. Yesterday, I received the client’s email regarding our last month’s work. And guess what? You guys made me proud once again. The client is really happy with the project deliverables. They are really impressed with the designs. What an incredible job! You all deserve a big round of applause. You guys mean a lot to me. P.S. Please find the client’s appreciation email attached below. Dealing with an employee who is lagging is a challenging task. Usually, the underperformer who misses out too many work deadlines is surrounded with negativity. All one needs to do is – support the person to boost his/ her morale and share few words of encouragement. This would be enough to motivate the employee and help him pick up the work speed. You are one of the most responsible team members and I am really impressed with your work. But lately, I have observed something in past few days that you’re stretching your work deadlines too much. Is everything alright? Or are you facing some problems? I hope you understand that work delays put pressure on the entire team and lowers the morale of other people. I would like you to focus a little more on everyday tasks. Plan everything and set feasible deadlines. I know you will be back on the schedule very soon. I trust you completely. Please do not hesitate at all to reach me anytime for help. Remember, as a team, we all are here to help each other! So, have you got some helpful ideas from these HR templates? See, these HR email templates are not the ultimate solution to your problem, but they can be helpful to initiate a conversation in any difficult situation. If you think sending such an email could be a formal approach, then make sure to include a meeting request in the mail. In this way, you can get an opportunity to have a good discussion over things. To be honest, these HR email templates are the best way to bring attention of an employee on a specific issue, before you unexpectedly pull the person aside to discuss the matter. Empxtrack contains email/letter generation section that can store all your letters with formats. Mail merge functionality allows you to quickly generate the desired letters, include employee details (such as name, manager name, department, title etc.) and send it immediately. You can save time and also standardize the process across your company!